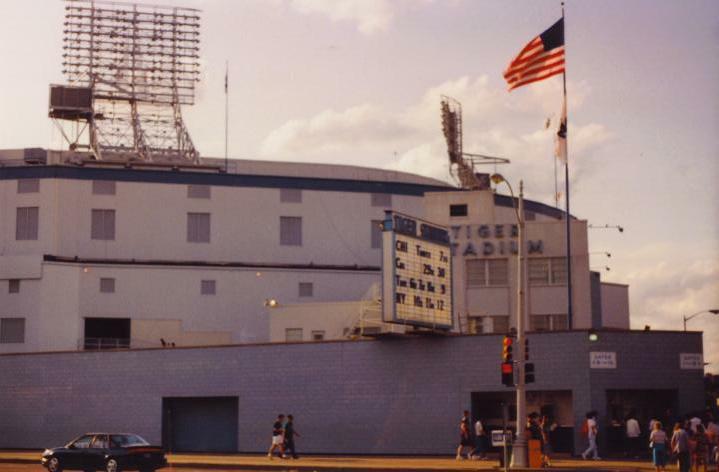 TIGER STADIUM, THE LAST OF THE OLD TIME BALLPARKS THAT I HAD TO VISIT. 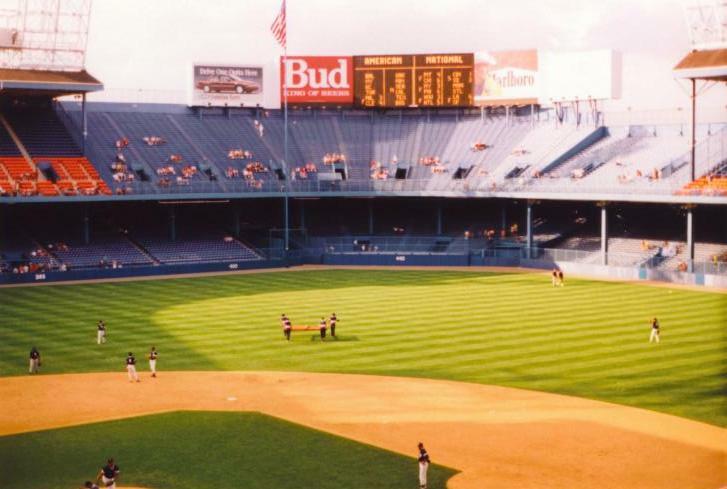 LIKE (OLD) COMISKEY, IT HAD A VERY HEAVILY PAINTED WHITE EXTERIOR. 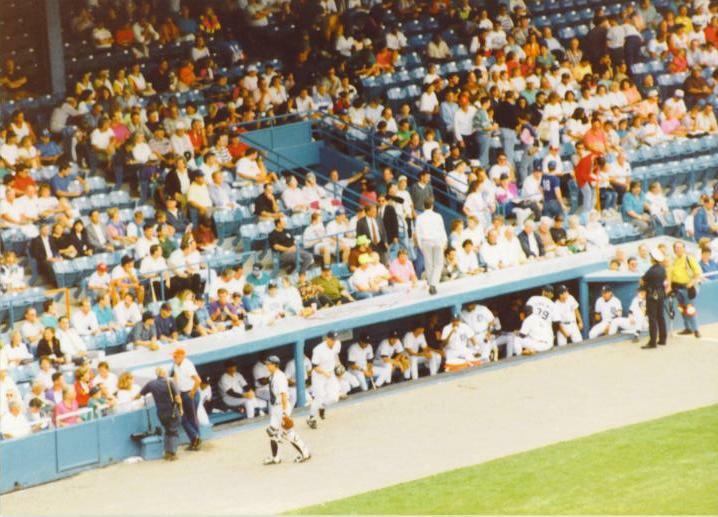 LIKE FENWAY, IT HAD NARROW WALKWAYS AND AISLES. 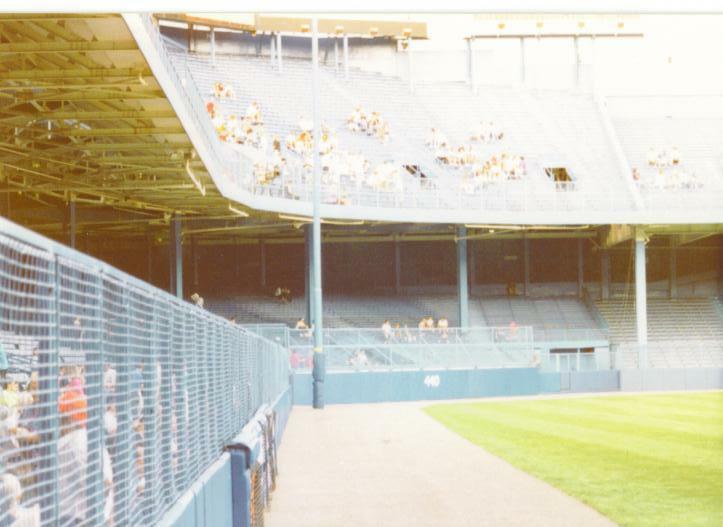 LIKE WRIGLEY, IT HAD IT'S SCOREBOARD BEHIND THE CENTER FIELD BLEACHERS, EXCEPT HERE THAT WAS 600 FEET AND 10 STORIES AWAY FROM HOME PLATE. 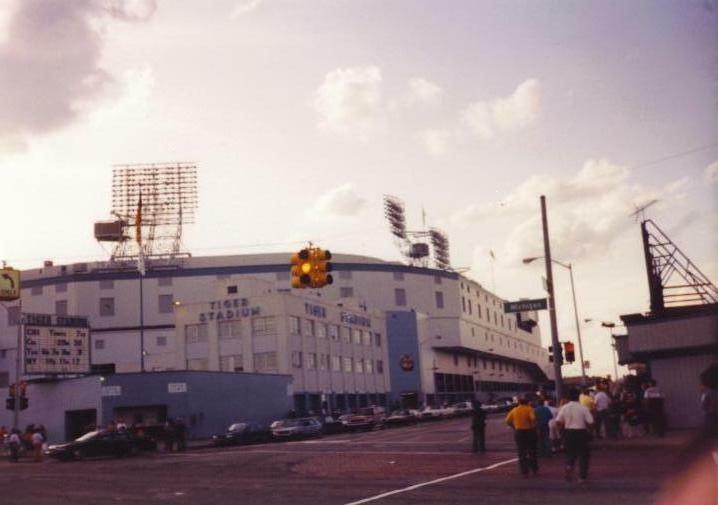 AND LIKE ALL OF THEM EXCEPT FOR COMISKEY, TIGER STADIUM HAD NO PARKING. 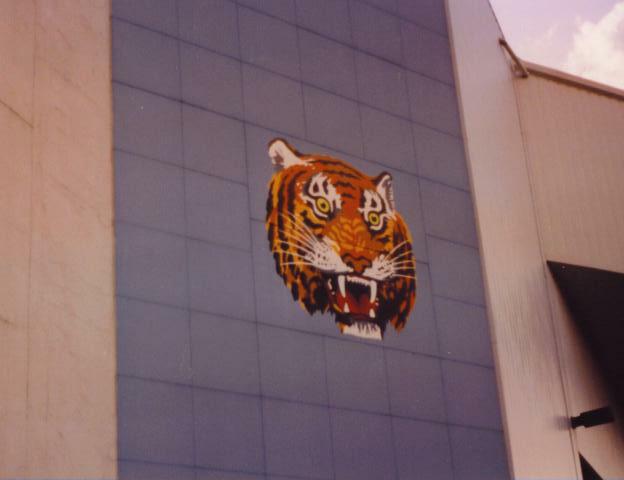 ON MY ONLY VISIT TO TIGER STADUM, WE TOOK THE SHUTTLE BUS FROM WINDSOR, ONTARIO WHICH LEFT US OFF RIGHT AT THE CORNER OF MICHIGAN AND TRUMBULL. 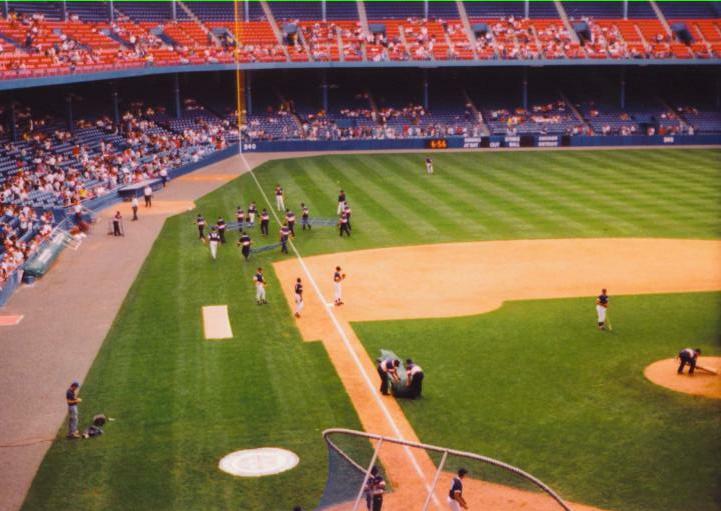 THE PARKING I COULD SEE FROM THE STADIUM WAS SMALL LOTS AND THE FRONT LAWNS OF THE NEIGHBORS OF THE BALLPARK. ON MY VISIT, TIGER TOWN WAS GOING THROUGH AN OWNERSHIP CHANGE, DOMINO'S PIZZA WAS SELLING AND LITTLE CEASARS WAS BUYING. IT LOOKED LIKE THE RESULTS OF THIS WAS SOME NEGLECT THROUGHOUT THE PARK. 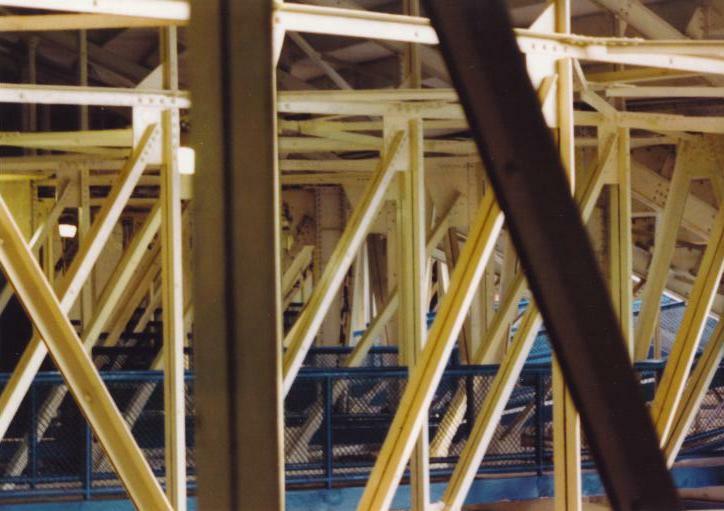 THE UNDERSIDE OF THE UPPER DECK WAS BADLY IN NEED OF A PAINT JOB. I ALMOST FELT BAD FOR THE PLACE, SORT OF LIKE A DOG LEFT OUTSIDE ON A COLD RAINY NIGHT, YOU JUST WANTED SOMEONE TO TAKE CARE OF THE PLACE. WALKING INTO THE STADIUM, YOU GET THE SAME FEELING AS YOU DO WHEN YOU WALK INTO YANKEE OR FENWAY. ALL OF THE GREATS THAT HAVE PLAYED IN FRONT OF THE SAME SEATS THAT YOU WILL BE IN. 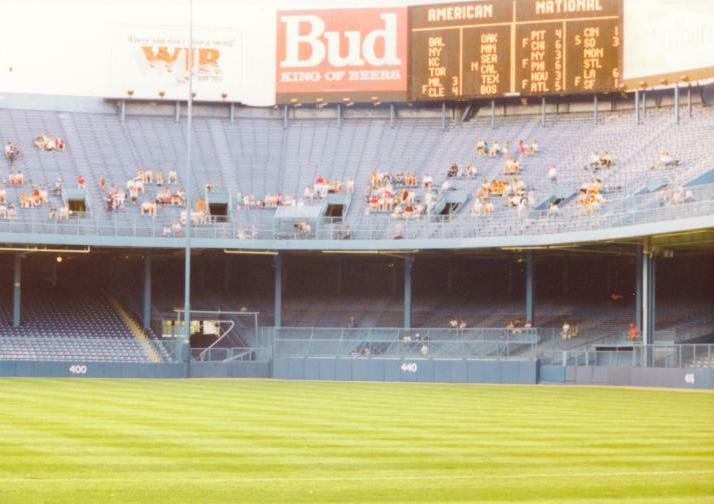 WHEN YOU SEE OLD PICTURES OF PLAYERS IN THE 30'S AND 40'S, THE BACKDROP IS THE SAME. 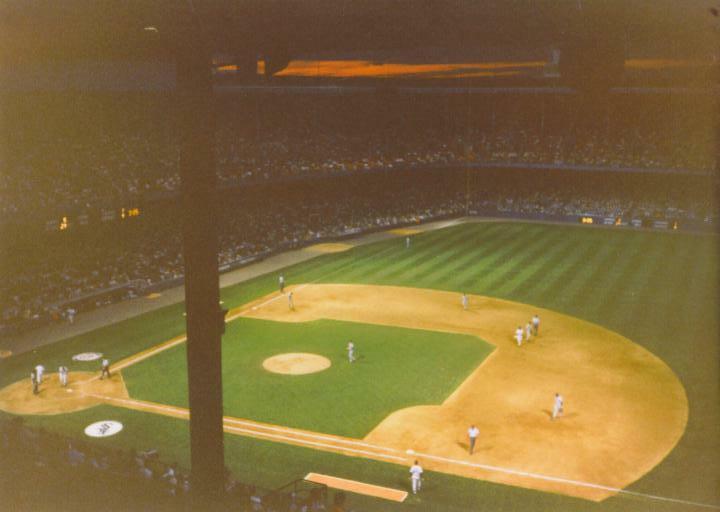 THAT IS REALLY WHAT CAMDEN YARDS IS MISSING AS WELL AS THE NEW BALLPARKS. 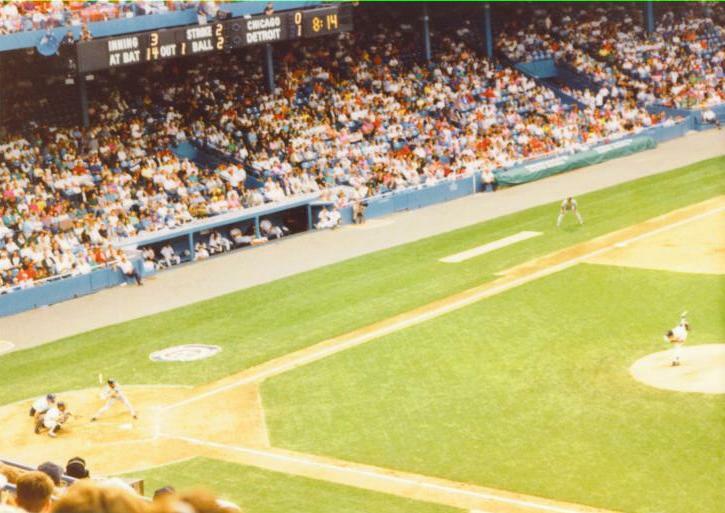 I'M SURE IN 2040, WE'LL BE LOOKING AT OLD PICTURES OF CAL RIPKEN WITH THE WAREHOUSE IN THE BACKGROUND AND IT WILL GIVE PEOPLE THAT SAME FEELING, THAT CAL PLAYED IN FRONT OF THE SAME WAREHOUSE THAT THEY ARE BUYING ORIOLE SOUVENIRS IN. 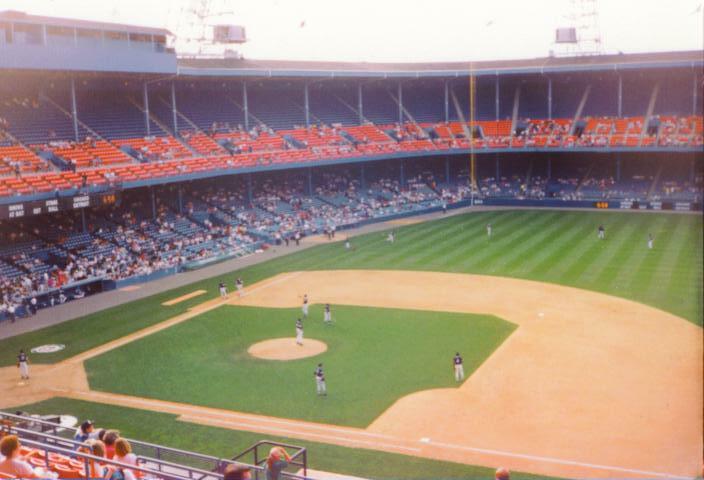 OF THE 37 BALLPARKS I'VE VISITED, I RANK TIGER STADUM 11TH BEHIND CITIZENS BANK PARK BUT AHEAD OF MEMORIAL STADIUM. 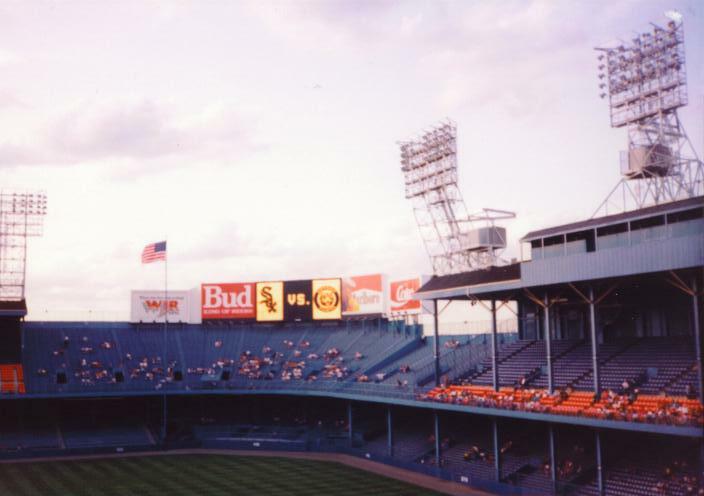 HERE, YOU HAVE THE ATMOSPHERE, (THE FLAG POLE IN CENTER, WHICH MANY OTHERS HAVE COPIED, AND THE UNDERGROUND BULLPEN SEATING) GREAT FOOD, ( THE VENDORS IN 1992 STILL SPREAD THE MUSTARD ON YOUR HOT DOG WITH A POPSICLE STICK) AND A GREAT VANTAGE POINT. 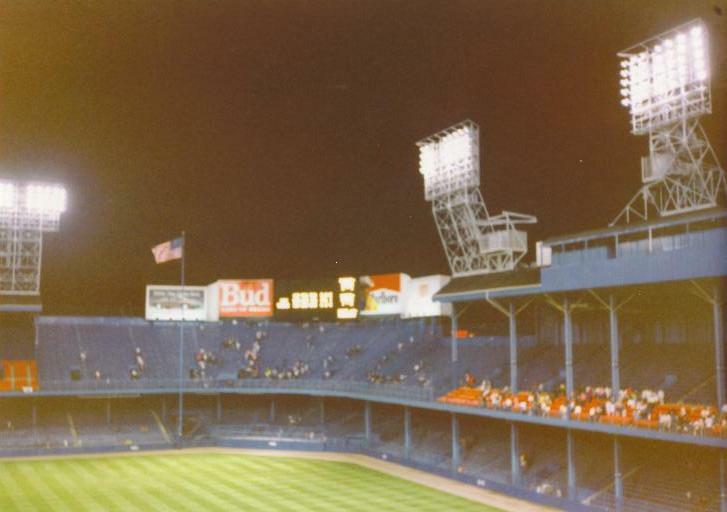 (AT TIGER STADIUM, YOU WERE VERY CLOSE TO THE ACTION.) 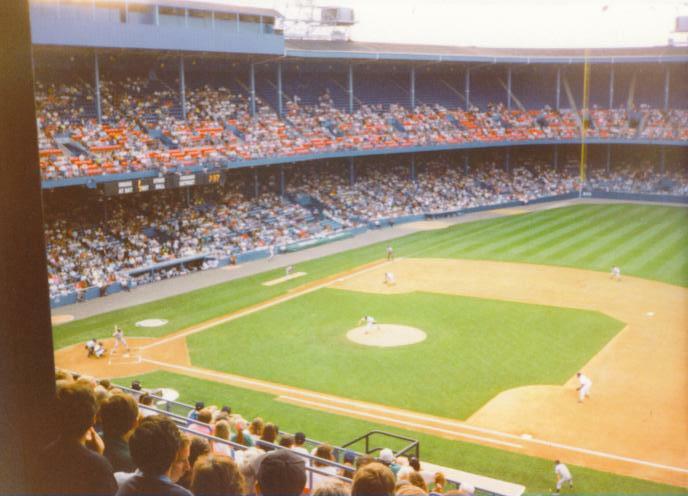 THE SAD THING IS WITH A FEW PLAYER FRIENDLY MODIFICATIONS AS WELL AS SOME STADIUM UPKEEP, THIS PLACE COULD STILL SURVIVE TODAY. 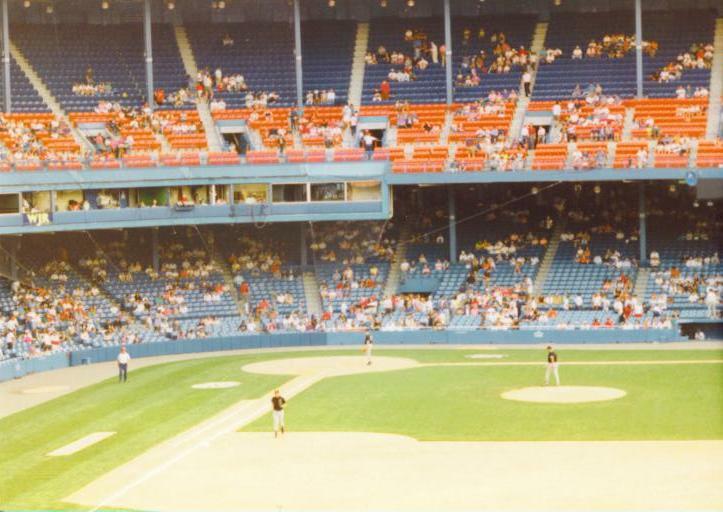 ECONOMICS REALLY DID THIS PLACE IN, THERE WAS NO PLACE FOR THOSE IMPORTANT REVENUE GENERATING LUXURY BOXES.